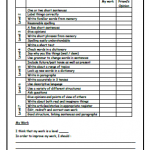 Currently viewing the tag: "Assessment"
This worksheet provides students with a ‘tick-box’ solution to self and peer assessment for writing tasks. Students study their own work and get a friend to give their opinion too. 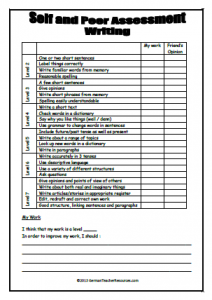 When they can easily see how far up the attainment scale they have reached, they are able to estimate their level and easily see what steps they would need to take to improve their work.